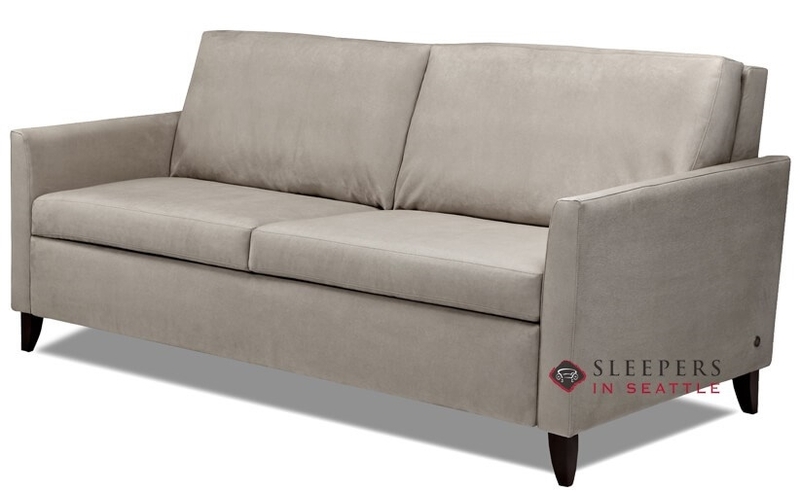 The compact Harris High Leg Queen Generation VIII Comfort Sleeper provides refined elegance with wooden feet and an easy curve to the inside of the arm. 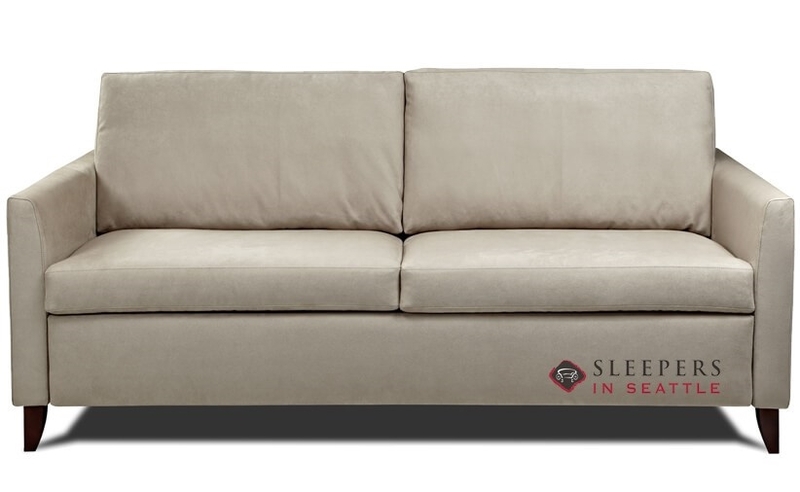 The inviting, soft design is finished with exquisite tailoring in the designer fabric of your choice. Choose from 3 mattress options as well. Formerly known as the Hannah, the new and improved Harris offers a number of improvements including deeper, more comfortable seating, luxury ticking and various upgrade options. The Harris is customizable in our full selection of American Leather upholsteries.